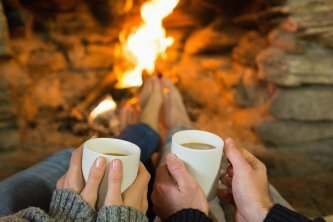 What Are The Benefits of Gas Logs? The beauty and comfort of a fireplace doesn’t have to come with the maintenance and difficulty of a wood-burning fireplace. These days, many homeowners would rather have a gas fireplace, which is easy to operate and does not involve messy cleanup. To learn more about the benefits of gas logs, read this article. And if you want a great deal on gas logs in Chantilly or nearby areas, contact Home Living Fireplaces today. O ne of the primary benefits of gas logs is that they look like real wood logs, except they never lose their luster. Another advantage of gas logs is that they burn cleaner than wood logs, which reduces indoor air pollution and soot accumulation in the chimney. If you are interested in making your gas fireplace more efficient for heating the room, you can even buy a vent-free gas log. These logs draw air from the inside of the home, which makes them so efficient that they do not need to be vented.